BepiColombo is now heading for their departure from ETS/ESTEC and transport to Kourou after the Mercury Transfer Module (MTM) successfully passed the thermal vacuum test in ESA's Large Space Simulator (LSS). During this test the MTM was not only exposed to 11000W/m2 to simulate the sun intensity close to Mercury but the four thrusters were also functionally verified by means of Xenon gas release up to 4mg/s. For this thrusters verification the LSS has been upgraded with additional cryogenic pumps to assure high vacuum during the Xenon release. In the coming weeks the team from Thales Alenia Space Italy, Airbus and JAXA will be performing final leak tests and functional tests before packing their equipment to head to Kourou. BepiColombo is a joint mission between ESA and the Japan Aerospace Exploration Agency (JAXA), executed under ESA leadership. BepiColombo is now heading for their vibration test after successfully passing the acoustic noise test in ESA's large European acoustic facility. All spacecraft modules are now in stacked configuration and will be shaken to qualify for launch. In the coming weeks the team from Thales Alenia Space Italy, Airbus and JAXA will be analysing huge data sets acquired during the upcoming vibration test. After the vibration test, centre of gravity and moments of inertia will be determined and finally the Mercury Transfer Module (MTM) undergoes its final space simulation test in ESA's Large Space Simulator. 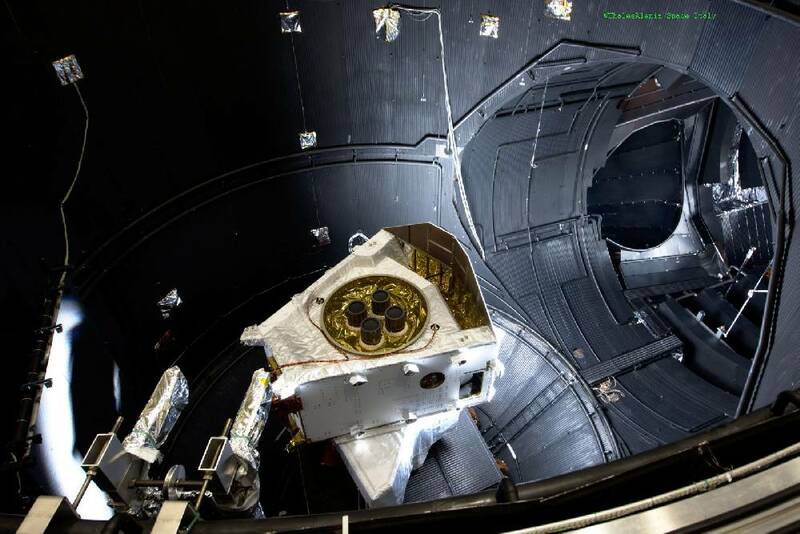 After arrival in January this year, MetOp C Payload Module (PLM) is ready for thermal vacuum testing inside ESA's Large Space Simulator (LSS). From today the payload module will see vacuum and harsh space conditions for 3 weeks. During this period engineers from ESA, Airbus, CNES, NASA/NOOA, Thales and EUMETSAT will perform various functional tests. ETS is responsible for operating the LSS and additional thermal subsystems to supply with liquid nitrogen and Helium at 30K the instrument targets simulating deep space environment. 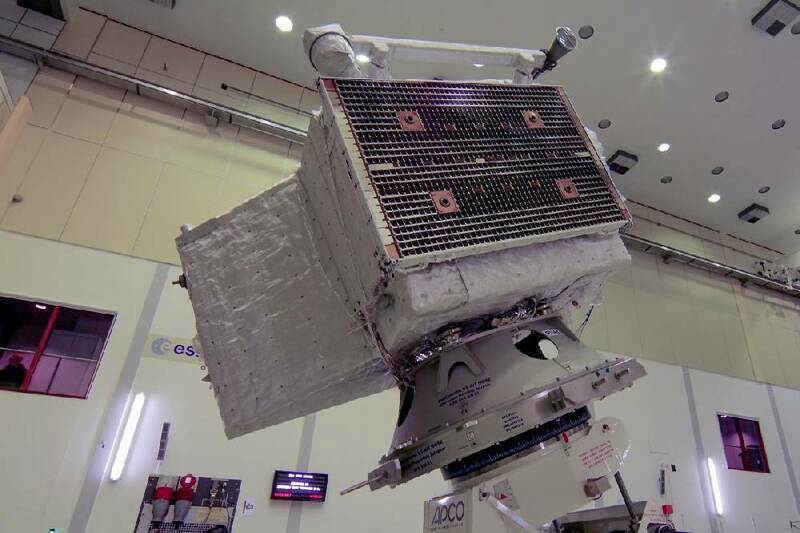 MetOp is a series of three satellites developed under responsibility of ESA and operated by the European Organization for the Exploitation of Meteorological Satellites (EUMETSAT). MetOp's payload module carries 11 scientific and meteorological instruments and the satellite provides Search and Rescue services. 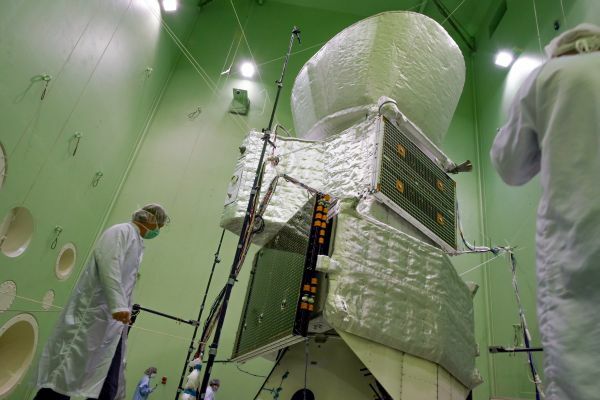 BepiColombo is now heading for their acoustic noise and vibration tests this Summer. Before all spacecraft modules will be stacked and shaken to qualify for launch, the Mercury Planetary Orbiter's (MPO) centre of gravity and inertia have been measured on ESA's mass property measurement facilities. In the coming weeks the team from Thales Alenia Space, Airbus and JAXA is preparing each module to be integrated into a stacked spacecraft. 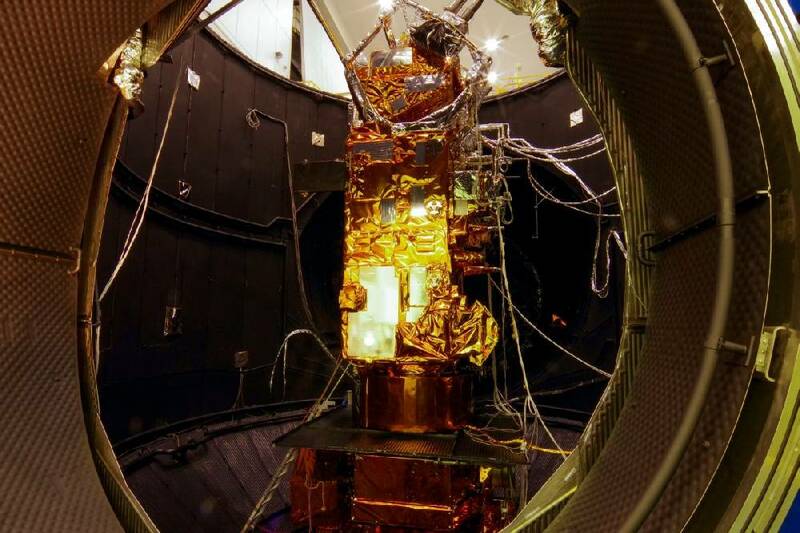 After the vibration and acoustic tests, mass property measurements will be performed on the stack and finally the Mercury Transfer Module (MTM) undergoes its final space simulation test in ESA's Large Space Simulator. BepiColombo is Europe's first mission to Mercury and is a joint mission between ESA and the Japan Aerospace Exploration Agency (JAXA), executed under ESA leadership. Copyright © European Test Services (ETS) B.V.